The Sampler-Intensive Workshop takes place in the Practice Space of Helemaal Mona, Tussen de Bogen 31, 1013 JB Amsterdam, Netherlands. 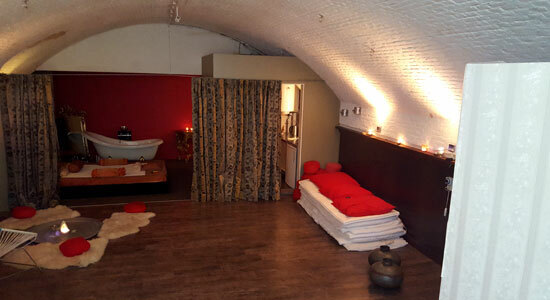 It is located in the center of Amsterdam, in 1 kilometer distance of Centraal Station. The Practice Space with its sheltering atmosphere is an ideal place to dive into GAY-TANTRA.